Laser eye surgery is performed in order to correct a person’s eyesight. It is a newer technology that many people prefer instead of wearing contact lenses or glasses. In order to receive laser eye surgery you have to make sure that you are a candidate. Laser eye surgery can only be performed on those that are suitable candidates otherwise the procedure may be unsuccessful. Laser eye surgery is fairly expensive because it is an innovative treatment option for those with poor eyesight. It is fairly new to the market, and is highly sought after by those wanting to rid themselves of glasses or contact lenses. Laser eye surgery also has risks involved making it very important that a certified and trained professional performs the treatment. The cost of laser eye surgery is based on the level of correction required. The cost is also influenced by the certifications of the technician and location of the clinic. If you have been deemed a candidate for the procedure you will want to know what surgery entails. There are different types of laser eye surgery and your optometrist will help you to decide which procedure will most benefit your vision. LASIK is a laser surgery procedure that aims at the surface layer of the cornea. LASIK eye surgery is very common. 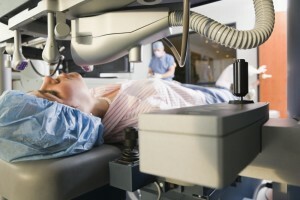 Wavefront-guided LASIK surgery is set to reduce the irregularities in the eye. Before the procedure begins local anesthetic drops will be put in the eye. A surgical scalpel will then be used to cut a flap in the cornea in the eye. The flap will then be folded back. A laser will then be used on the exposed middle eye area. The laser will vaporize the necessary section and then the flap will be replaced. Some people will only have one eye treated at a time, but some consultants will allow both eyes to be done on the same day if necessary. The eyes will be sensitive to light and other stimuli following the procedure so it is important to ensure that you follow the recovery instructions carefully to avoid complications. There is also Photorefractive Keratectomy which is usually performed on people not suitable for LASIK. It abrades the tissue from your eye, rather than cutting a flap like LASIK. Laser eye surgery is a very safe treatment option. Rarely do people experience any problems with their eyes after the procedure. The most common problem people have after the procedure is dry eyes. In order to treat the symptom of dry eyes, eye drops that act as tear supplements will be used for a few months. Some patients report seeing glares from lighting while driving at night. This is most prevalent shortly after treatment and usually goes away within a week or two. In very rare cases patients reported vision loss or new vision problems after their procedure. Recovery from laser eye surgery is reasonably painless and comfortable. Many patients will return to work within a few days. It is important to avoid driving until you feel all vision symptoms are gone for your safety and others. Most patients will avoid driving for two weeks. It is also important to wear sunglasses to prevent the glare of the sun from damaging the newly exposed eye. Generally patients will have a follow up visit two weeks after the procedure. This appointment is to ensure that there has not been any complications and that the patient is satisfied with the results. Laser eye surgery gives fairly permanent vision restoration so unless the patient experiences any vision changes there are no additional appointments necessary.